The explosive growth in data in recent years presents both opportunities and challenges for federal contractors as they attempt to utilize this information tsunami to make quick and effective decisions. As Director of Predictive Analytics and Data Science in Salient Federal Solutions’ Data Analytics Center of Excellence (DACoE), Dave Vennergrund is helping Salient to manage the issues of today and prepare for the challenges of tomorrow. 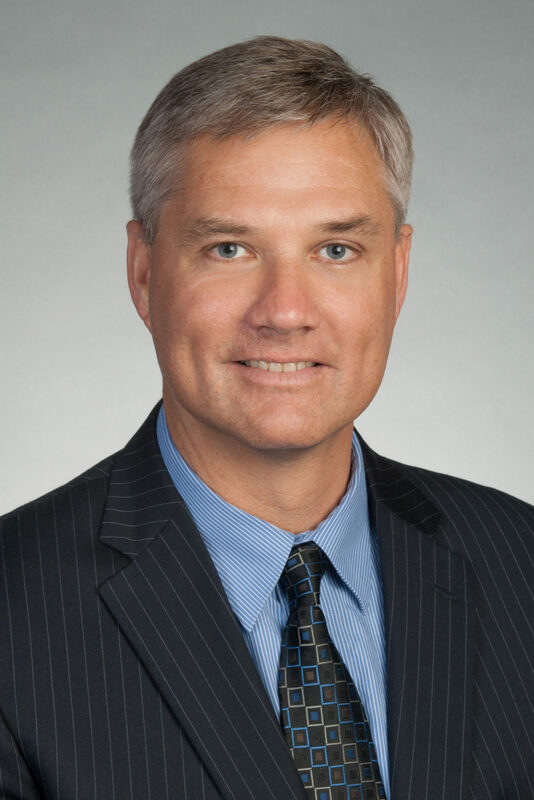 WashingtonExec recently spoke with Vennergrund about his work at Salient’s DACoE, how government can harness information for big impact, and what are the hottest trends in the data analytics market. WashingtonExec: What is the difference between predictive and prescriptive analytics, and how is Salient leveraging these two for your clients? Dave Vennergrund: There’s a fine line between predictive and prescriptive analytics, but technically predictive analytics is the application of data mining, machine learning, and statistical techniques to historical data. With predictive analytics, we analyze and predict what will happen, as in with weather forecasting. Prescriptive analytics involves what we want to happen or what we want to make happen. They are linked because we use a predictive model to try to understand or forecast a possible outcome and then determine how to change or recommend the best course of action for any outcome. Prescriptive analytics would be the embedding or deploying of a predictive model into a workflow so that when we recognize we’re in the middle of some event or some outcome being possible, we can change that outcome or take action on that outcome. Examples include the advertisements that appear during a Google search or the coupons that are printed during a CVS purchase. All of that is done with predictive models running in the background. We utilize both predictive and prescriptive technologies for our clients by first making a forecast using the predictive model. Then, putting that forecast into action with prescriptive tools – for example, by opening an investigation, starting a new process, or starting new workflow. The two work hand-in-hand: Predictive analytics builds the model and prescriptive analytics uses the model to affect desired outcomes. WashingtonExec: Can you talk a little bit about DACOE’s proof of concept big data initiatives? Dave Vennergrund: The Salient Data Analytics Center of Excellence has a fully articulated studio with tools for business analytics, data analytics, statistical analysis, as well as a big data platform and distributed database. We use the same toolsets that our customers use to prove, explore, and examine newer technologies. We collect data from Data.gov and other open sources and store it in our database so that when we do our proofs of concepts, we have publicly available data. Salient’s approach to data analytics, Data Proof for Mission Impact, is very different from other consultants in that we come to the first meeting with a customer or a decision-maker with a proof built beforehand using public data to answer their strategic questions and to solve their highest-value, most pressing problems. Some of the initiatives we’ve worked on include fraud detection, workload forecasting, and budget forecasting for very large public benefits programs. WashingtonExec: What are some of the ways that agencies can use all of this data to improve their processes and outcomes? 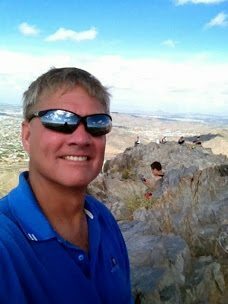 Dave Vennergrund at Squaw Peak, Ariz.
Dave Vennergrund: Here are some useful categories for the utility of data analytics. First is program integrity, to reduce fraud, waste and abuse. That’s a very useful application of analytics because the return on investment there can be immense while protecting our public funds. The next category is forecasting the workload that you’re going to see in the future, forecasting budget subsidies, as well as the needs in the basic economy. Another category is being able to understand and predict attrition and its impact on staffing. We’ve used these tools to identify high performers and also people who might need a little bit of a boost to get things back on track. The final category is performance management. We can anticipate and intervene if there are poor performances, and we can also hold a light up to the best performers and best practices and help those across an organization. WashingtonExec: How can budget conscious agencies do more with less using predictive analytics? Dave Vennergrund: First is to operationalize the tasks that they are currently doing in an ad-hoc manner. Many of our agencies use a one-off or ad-hoc approach to data analytics, employing a business analysts and using Excel spreadsheets or other tools to answer a particular question. If you operationalize those questions and put them into a repeatable system so that the data is collected and consistently cleansed and is reliable, then you can operationalize those ad-hoc analyses so that they’re done on a regular basis with a lot more confidence. From there, we often see that when you operationalize a particular form of an analytic, people have terrific ideas on how they can extend them. When you operationalize, you create value by investing back into the agency with good data and data analysis. Secondly, agencies can employ the analytics techniques to do more with less using predictive analytics. All transactional and data-producing systems creates massive amounts of data across our federal agencies—it’s collected and stored. Agencies spend a lot of time and money defining database structures, housing that data, and building in performance and efficiency. They put this data into storage, and yet it is estimated by Forrester Research that only about 15 percent of it is ever examined again. So the by-product of these transactional system, data, is stored — it might be reported on lightly, but it’s not really analyzed or leveraged. However, the other 85 percent could hold a lot of answers, including information about who is using the systems, potential bottlenecks, and it tell us something about the future. It is a cost that has already been sunk, but it’s a lost opportunity because we don’t analyze that data. The next category is innovation. When we bring data together in our Center of Excellence here at Salient, we’re bringing data from across the government, and there is a tremendous amount of publicly available data, but it’s not integrated. You have to take some time to make sure you match the grain and the scope of that data so that when you bring it together, you’re reasoning with a coherent data set. When federal agencies do that, they can innovate, answer new questions, and offer new services. The simple addition of new data to generate a bigger picture creates innovation and the ability to offer new services. Finally, using predictive analytics can be used for strategic decision making. We review the federal agencies’ strategic plans, and they set goals that relate specifically to what the job at hand is. They’re not interested in whether they need to employ predictive analytics, business intelligence or a simple database query, they’re interested in change, in moving the needle by reducing costs, preventing fraud, or enhancing security. In these big picture missions, you are looking at decisions about which programs to continue and which gaps to fill. That type of strategic decision making can be greatly informed by predictive analytics. WashingtonExec: What trends in federal agency big data analytics are you following? Elastic Cloud-based Platforms: We know about the benefits of cloud computing, but what we’re following is the elasticity that provided by cloud platforms. What I mean by elastic is the ability to start with nothing, fire up sorage and compute nodes (such as a series of Hadoop nodes), load up a large amount of data,, build predictive models, export those models, and then delete the data and turn those nodes back off. This is an inexpensive way to build very useful models. Elastic cloud-based predictive analytics is very important to us, and we’ve been working with several cloud providers, Amazon in particular, and will continue to explore other cloud commercial offerings because of the adoption by our clients. In-Memory Analytics Tools: Most predictive analytics algorithms are very memory-intensive, and the more information you can put into memory, the faster these algorithms will run. Having more in-memory tools reduces the latency issues associated with Hadoop and MapReduce and saves a lot of time. Apache Spark is an example of such a tool, and switching to it from Hadoop can save a lot of time. Monetization of Data: We’re seeing commercial companies, as opposed to federal contractors, monetizing data. They take information for a specific vertical, such as healthcare, law enforcement or housing, and they add value by taking public data (such as with Data.gov) and curating and cleansing it. Then, they integrate more data sources with it and make it available not just as data, but as data services. I think we’ll see a lot more companies monetizing data in this way, and we might see the federal contractors doing that as well. So that’s what I’m keeping my eye on this year. WashingtonExec: Are there any books that have been especially influential to your career? Dave Vennergrund: I am always inspired by Nate Silver’s fivethirtyeight website. His book, “The Signal and the Noise: Why So Many Predictions Fail – But Some Don’t” is a terrific read. His introduction into statistical and Bayesian methods reminds me of the limits of predictive analytics. For example, we are getting better at forecasting the weather over a short period; however, we can probably never forecast earthquakes or the stock market. “Competing on Analytics,” by Thomas H. Davenport and Jeanne G. Harris who made the case for the shift from gut-based to data-driven decision making. “License To Steal: How Fraud bleeds America’s Health Care System,” by Malcom Sparrow’s inspired my team and I while developing fraud detection solutions for Medicare and Medicaid claims. “The Sixth Extinction,” by Elizabeth Kolbert as her presentation of complex and scientific analysis is compelling. I hope it awakens a sense of urgency in us to address solvable climate problems with our best tools, methods, and policies. WashingtonExec: When you aren’t busy working, what do you like to do to relax? Dave Vennergrund: I am a basketball enthusiast. I am the commissioner for the Fairfax County Youth Basketball League and coach the high school girls’ Junior Varsity in Centreville, Virginia. I coached house, travel, and AAU teams for many years including those of my three children. To be a part of these students’ growth is very rewarding, both on and off the court. I have known some of the students since they were in kindergarten and are now college graduates taking on careers and volunteering in our community. I also enjoy traveling. My favorite destination is the beach: Ocean City, Rehoboth, Virginia Beach, Outer Banks, St. Augustine – I love them all. The Caribbean is terrific, too.